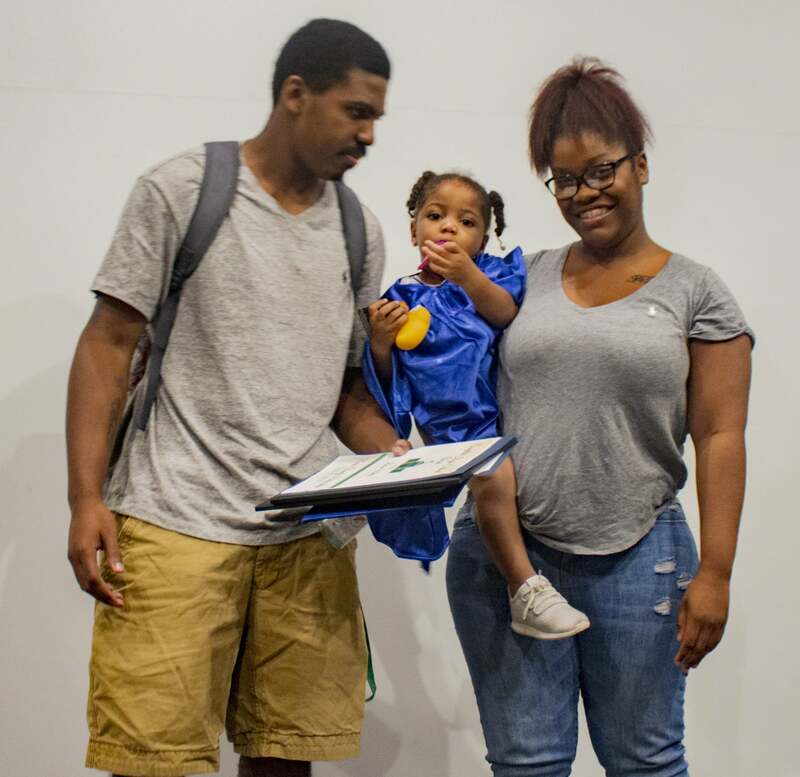 Kiriana Mathis found out she was pregnant in the middle of her tenth-grade year of high school and endured many of life’s hard setbacks, but that didn’t stop her from achieving her goals. Since joining the Nurse-Family Partnership program, Kiriana graduated at the top of her class, raised a healthy baby boy to the age of two and married her high school sweetheart at age 19. Kiriana joined NEFL Nurse-Family Partnership (NFP) after being referred by the nurse at her first prenatal appointment. She was anxious and afraid of bringing a baby into the world but felt comfort when reading about what NFP could provide to her and her family. As a first-time parent, she learned there is no such thing as a perfect parent and that parenthood is something you grow into. Franita Adams, registered nurse specialist with the Florida Department of Health Duval County, was Kiriana’s nurse. Franita taught Kiriana coping methods for stress and anxiety, like writing down her issues and tackling each situation day by day. Kiriana recognizes Franita’s persistence in helping her complete her goals. “Franita is extended family; having her unbiased opinion and support kept me on track. Her spirit is so loving and comforting, and her kind heart is something that is rare to find nowadays,” Kiriana said. NEFL Nurse-Family Partnership (NFP) is an evidence-based, home-visiting program where specially-trained nurses on the team from Florida Department of Health Duval and UF Health Jacksonville provide services in Duval, Baker and Clay counties to first-time mothers and their families. NEFL NFP is funded by the Florida Maternal Infant and Early Childhood Home Visiting Program. Kiriana’s goals for the future include becoming a pediatric nurse, getting a mustang and having three more biological children and one adopted child. “Growing up I didn’t have a dad or an ideal family, so I want to give a child what my son has now,” Kiriana expressed. Raising her son for the past two years has not been easy. Kiriana experienced her mom passing away, her sister’s high-risk pregnancy, her son and husband getting into a car accident and more of life’s major obstacles. However, that did not stop her and her husband from pushing forward for their family and goals. “A lot of times when people go through things, they shut down and shut people out, but not Kiriana. She’s been thorough things and always picks up the pieces and moves forward. She can handle everything,” Franita said. 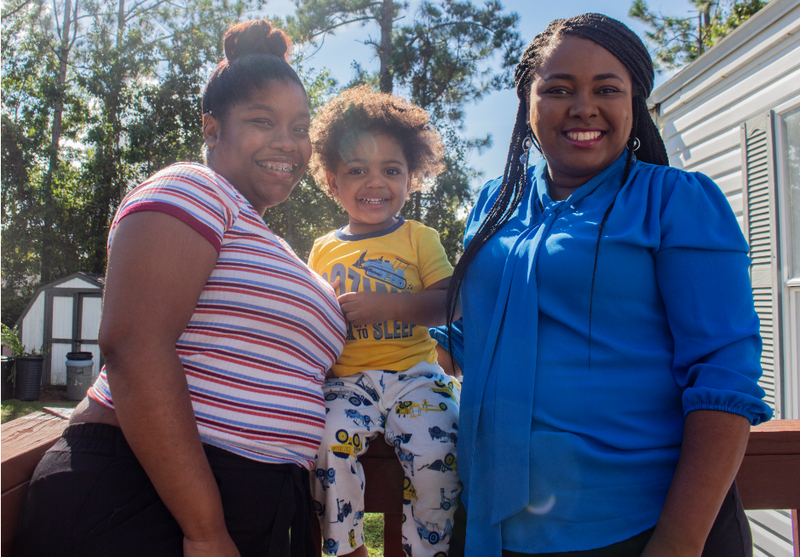 We are thrilled for Kiriana and what she has accomplished during and after graduating the NEFL Nurse-Family Partnership program and cannot wait to see how she grows her life and her family in the future.